New Delhi: The Central Information Commission (CIC), which enforces the Right to Information Act, has directed the central bank to make public the names of the top 100 industrialists who have defaulted on loans taken from public sector banks. The Reserve Bank of India (RBI) had declined to disclose the information in response to an RTI application. 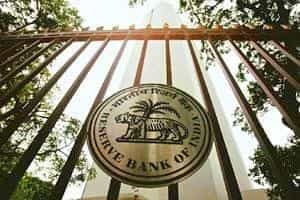 RBI, in a hearing on Tuesday, argued that it held the information in a fiduciary capacity on behalf of the banks and disclosing it would violate the trust of the borrowers. CIC, however, said the information provided by the banks to RBI is done under statutory compliances. “In fact, where RBI requires certain information to be furnished to it by banks and such banks have no choice but to furnish this information, it would appear that such requirement of RBI is directory in nature… Consequently, no fiduciary relationship is created between RBI and the banks," CIC said in its order, a copy of which Mint has reviewed. The commission said if RBI can share the information with the Credit Information Bureau (India) Ltd, or Cibil, the country’s largest aggregator of data on borrowers, it should have no issues in placing the information in the public domain. Bankers, however, say customer-specific information cannot be disclosed based on an RTI application. “Customer information is confidential and is governed by banking secrecy. Only an amendment to the laws will force banks to disclose this information," said the chairman and managing director of a public sector bank, who did not want to be named. “Such details are disclosed but only to certain authorities such as RBI and the income tax department." Questions emailed to RBI remained unanswered till press time. In an RTI query dated 16 August 2010, P.P. Kapoor, a Haryana-based RTI activist, sought details of defaults of loans taken from public sector banks by industrialists. “They first denied giving the information on the grounds of fiduciary capacity and under section 8 (1), (a) and (e)," Kapoor said. These sections of the RTI Act say a public authority is not obliged to share information if such disclosure “would prejudicially affect the sovereignty and integrity of India" and if available to a person in a “fiduciary relationship". CIC, however, concluded that the information sought should be provided in the “larger public interest" and that it would serve the objective of “reining in such defaulters". The commission said the benefits of disclosing the information are greater than “any damage to fiduciary relationship of bankers and their customers". “I suspect this decision will probably go to the high court and further to the Supreme Court," said Shekhar Singh, a working committee member of the National Campaign for People’s Right to Information. “However, we are totally in support of the decision and we are going to drum up...public support on issues like this.